Mia trained as a scientist, graduating from University College London with a Masters degree (MSc) in Photogrammetry. Whilst there she held an IBM studentship. This led in 1997 to her becoming a Chartered Surveyor in the Royal Institute of Chartered Surveyors (RICS) professional group of Geomatics. Although Mia remains a credible scientist and academic, Mia has also enjoyed a successful career in business and finance. After reaching a senior position in a major UK bank followed by a FTSE100 company, Mia progressed to join the board position at a UK based business as their Financial Services Director. It was during that time period she helped form Tumbling Dice Ltd with Mark. In 2005 she set up a financial services company and currently divides her time between that company and Tumbling Dice. Although Mia’s free time is limited, her love of meeting new people extends outside work and she enjoys travelling, listening to music and seeing live music, and experiencing other cultures. To contact Mia Denos directly, click here. Mark trained as chemical physicist, graduating with a B.Sc. (hons) in Chemical Physics from Sheffield University. He then worked as a postgraduate researcher at Cambridge University and also at University College London from which he graduated with a Ph.D. While at University College London, Mark worked on a project which was the recipient of the1990 British Computer Society Innovation award. Mark has since worked as a researcher in the academic world and as a consultant developing and implementing high technology solutions in the areas of geographic information systems, systems biology and ecology. Mark has worked with a number of high profile technology companies, universities and agencies across the world. He has also worked with public sector organisations including the Defence Research Agency and The Natural History Museum, and has a long standing association with Oxford University where he is an honorary member of Lady Margaret Hall. Mark’s skill set includes scientific software design and implementation, low level UNIX/Linux programming and systems management. He is also has many years experience of image understanding, neural net technology and complex systems (e.g. artificial life, organic computing and network analysis). In addition his computing and engineering skills; Mark is also an experienced entomologist who has worked in the field in many of the world including Costa Rica, South Africa and China. Mark is currently the convenor of the technology special interest group of the Royal Entomological Society. He has spoken about the interface of biology and technology at academic conferences and on radio and television. In addition, he has been invited to speak at a number of high profile meetings including the inaugural conference on “Organic Computing” sponsored by Volkswagen and the German Government. 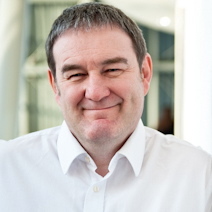 As well as founding Tumbling Dice Ltd, Mark has also helped to spin a number of high technology companies out of the academic sector in areas as diverse as computer aided topography and computational drug design. Mark is a chartered engineer and fellow of the British Computer Society, The Institute of Engineering Technology, The Royal Astronomical Society and The Royal Entomological Society. Mark has been published in over 50 publications, many in high impact, world class, refereed journals including Proceedings of the Royal Society and Science. Has appeared many times on both TV and Radio and articles have been written about him in the international, world class journal – Science. In his free time Mark particularly enjoys travelling and has a real passion for entomology. To contact Mark directly please click here.